MV Carnival Conquest to make inaugural call to Dominica. Roseau, Dominica, November 15, 2013 – On Monday, November 18, 2013, Dominica will welcome the MV Carnival Conquest at the Roseau Cruise Ship Berth, a release from the Discover Dominica Authority has stated. This is the first Carnival Cruise Line vessel which will call to the island since its pull-out in 2010.The Ship with a passenger capacity of 3783 will make one call to Dominica during the Season. A welcome ceremony is expected to take place aboard the ship at 10: 00 am. On Monday. Government Officials, tourism stakeholders and representatives from the Discover Dominica Authority will be present to officially welcome the ship's captain and crew. The Ship will be welcomed to Port by the sounds of conch shell. Shore side cultural entertainment will be provided by a local steel pan ensemble, Pointe Michel Cultural Group, and the Goodwill Secondary School drummers. Discover Dominica Authority is in constant discussions with Carnival Cruises for reinstatement of calls to the island. As such, an urgent call is being made to all tourism stakeholders, to ensure that guests expectations are met and exceeded as well as standards are maintained on the said day. Cruise tourism is a major component of Dominica's growing tourism sector. During the 2012/2013 cruise season, there were one hundred and fifty-eight (158) calls which translated into 212,316 passengers. Approximately 200 cruise ships are expected to call at Dominica during the 2013/2014 season, bringing nearly 323,080 visitors to the island, the DDA said. 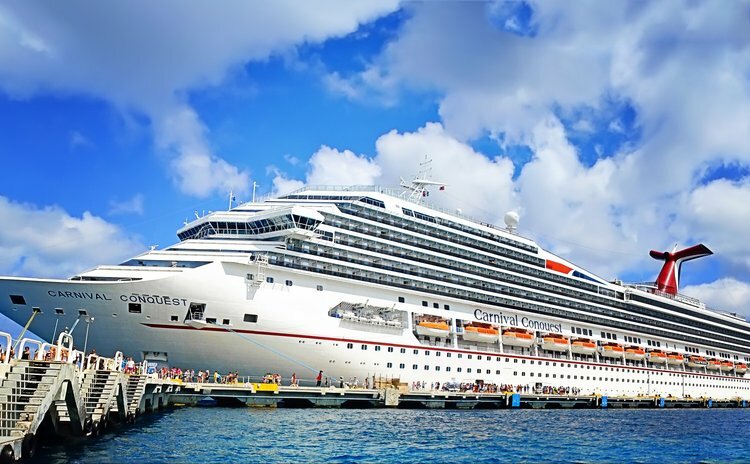 In 2010, citing fuel costs and passenger feedback, Carnival Cruise Lines eliminated the Carnival Victory's call in Dominica on its year-round, seven-day cruises from San Juan, Puerto Rico. "Effective with its Nov. 21 cruise, the ship will no longer stop in Dominica, and will instead spend that day at sea. It will continue to call in the five other scheduled ports on its itinerary, St. Thomas, Barbados, St. Lucia, St. Kitts and St. Maarten," the USA Today reported then. "Carnival said that it conducted a study of fuel consumption which found that by removing a port from the itinerary and replacing it with a sea day, the ship could sail at a slower speed on a direct route to the following port, resulting in significant annualized fuel savings. In addition, Carnival said that Dominica was one of its weaker ports in terms of guest feedback." Since then the Government of Dominica has made several overtures to Carnival to influence the Cruise Lines return to the Nature Isle.